In an industry that depends on prompt and reliable delivery, and products made to the highest standards of manufacturing excellence, Western Caskets Ltd has established for itself a solid reputation as a leading supplier to the Funeral Industry. From humble beginnings, in 1979, as a small one-man operation founded by Ed Campbell, the company’s Managing Director, Western Caskets Ltd has grown into one of New Zealand’s largest casket manufacturers, with a staff of over a dozen skilled employees, producing well over 10,000 quality caskets each year. 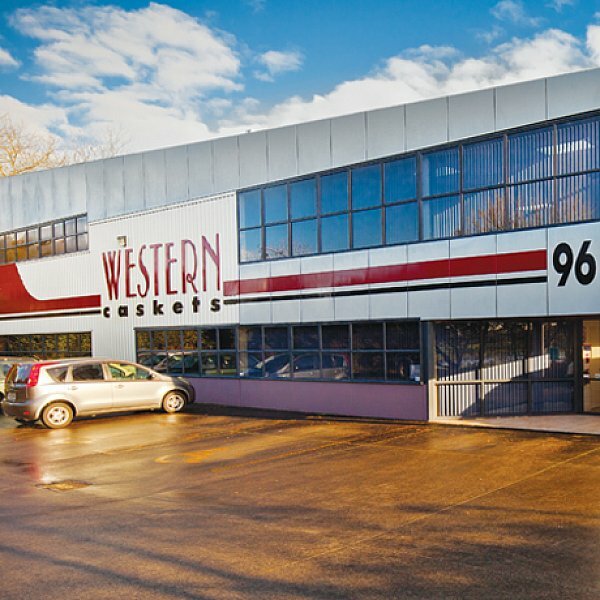 Despite its size, the business has remained a family owned and operated affair, ensuring a personal commitment to meet the expectations of all their customers. At the company’s Kumeu factory in West Auckland, they employ the most modern plant and machinery available to produce an extensive range of over one hundred caskets and ash urns, in a variety of colours and styles to suit all ends of the market. Please feel free to download and read our brochure about the MDF we use in our products.